CINCINNATI -- Three groups have submitted proposals to develop a concert venue at The Banks, with price tags ranging from $19 million to $66 million. "I think it's really exciting," Hamilton County Commissioner Denise Driehaus said Thursday night. "I think whatever we land on, there's going to be some activity to The Banks that's not there now." 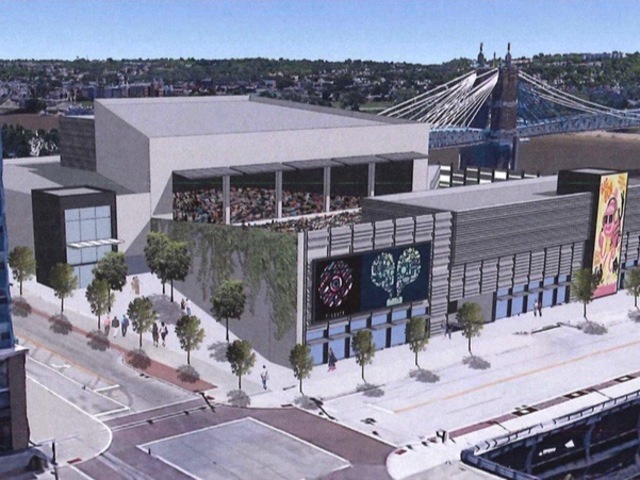 The city and county’s Joint Banks Steering Committee invited proposals after two years of behind-the-scenes discussions that followed a Columbus company’s offer to build and privately finance a $20 million concert venue on the Cincinnati riverfront. That company, PromoWest Productions, is one of the bidders. Its proposal calls for a concert venue that provides indoor seating for up to 2,500, with a lawn area for an unspecified number. The venue would host 180 events each year. The company declined to provide a venue budget, saying the details are proprietary, but it did propose financing the project with $3.9 million in equity from developers Scott Stienecker and Kent Bowen, along with $13 million in debt from First Financial Bank. Among the unique elements of PromoWest's bid is a guarantee to contribute 50 cents per paid ticket toward a marketing fund that the Joint Banks Steering Committee could use to promote riverfront events. 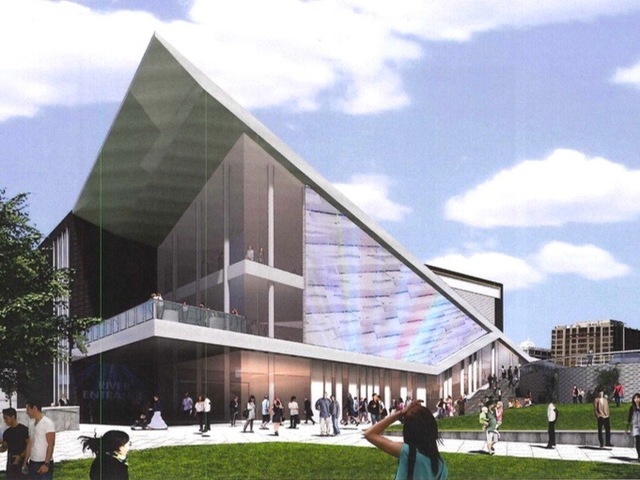 A second proposal, submitted by the event management subsidiary of the Cincinnati Symphony Orchestra, calls for a $19.25 million facility that would draw about 225,000 per year. The venue would hold up to 4,000 people but could be configured to host smaller concerts and performances. The symphony touts its project as one in which net revenue from concerts "stays right here in the community, supporting the artistic and educational mission of the CSO." A third proposal from the nation’s largest concert promoter, Live Nation, and its longtime business partner, ARK Group, calls for a venue that could hold up to 6,000 people and cost $66 million to construct. The venue would attract an estimated 361,000 people to 152 events per year. 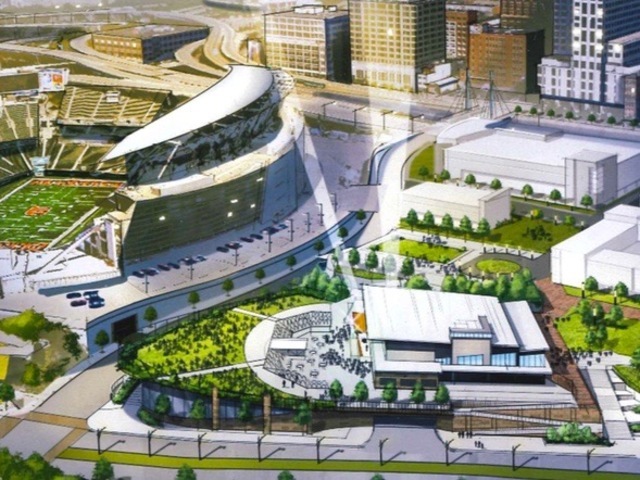 Financing isn’t spelled out in the proposal, which includes an assumption that "all costs in excess of any city/county participation will be funded by equity contributions of Live Nation and ARK Group." Live Nation touts its "unique portfolio of assets that is unmatched in the live entertainment industry," making it venue more likely to attract top talent and operate successfully. Driehaus said she wasn't sure when the Joint Banks Steering Committee would decide which of the proposals to pursue, but added she hoped it would be soon.